ellehermansen: Flying with a Baby or Little Kids? 15 Traveling Tips from Babyzone! Flying with a Baby or Little Kids? 15 Traveling Tips from Babyzone! Found this water colour painting and love it! 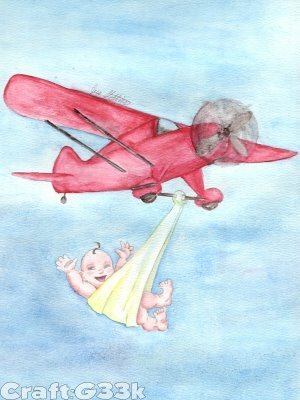 Pretty good to read if you are flying with baby this Summer or in general. It was actually sort of weird as I was thinking about it and then I got an "bing!" in my email, only to read this creepy title that was on my mind. Google is wired to our brains! ;)You can click the link below to read more from Babyzone. "Are you panicking at the prospect of juggling suitcases and carry-on luggage, diaper bags, car seats, and bottles? Try these down-to-earth tips to help you take the skies in stride."